…the thought of not getting enough breath was possibly the most terrifying thing I could think of. Asbestosis is the more commonly known name for asbestos-related disease and yet, as it is not a terminal cancer like mesothelioma, it doesn’t get the same focus. We would like to introduce you to Geoff, a valued member of our support community. A few years ago, I found myself inexplicably short of breath. I couldn’t walk more than 100 metres without struggling for breath and I had no energy or strength. In 2015 I went back for a check-up and was told the spots in mu lungs were moving. This led to a diagnosis of asbestosis. My immediate reaction was sheer bloody terror and to think the worst. I wasn’t comprehending information as, I suppose like many others in similar situations, the thought of not getting enough breath was possibly the most terrifying thing I could think of. At the time, I belonged to a self-help group that had not only helped me through a past crisis but was a major influence on how I live my life. But I felt I needed connection with people that might know more about my current situation and who could help me get clarity. This search led me to the Reflections Through Reality support group. Their friendship and concern has been fantastic and, although my condition is not nearly as serious as others in the group, I find their courage, optimism and positive outlook an inspiration. Some of the things I have gained through this group is gratitude, friendship and admiration for those who are vastly more effected than me. Without the group’s support I imagine I would feel confused and alone. I am truly thankfully I contacted them. * 1. Asbestosis, inflammation and scarring of the lungs 2. Mesothelioma, a terminal cancer – both resulting from asbestos exposure. 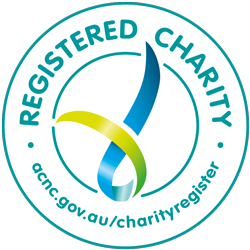 Reflections Through Reality was founded in 2015 to promote and fund medical research into a cure for mesothelioma, increase awareness of the asbestos risks in our community and support sufferers.